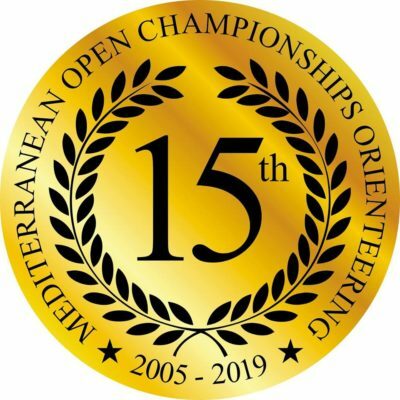 For it’s 15th anniversary the Mediterranean Open Championship MOC was held in the sunny island of Malta. 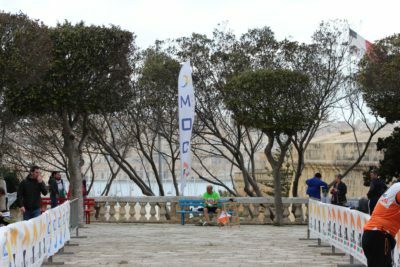 MOC Day 2 – Valletta: Bormla – Città Cospicua. Malta. 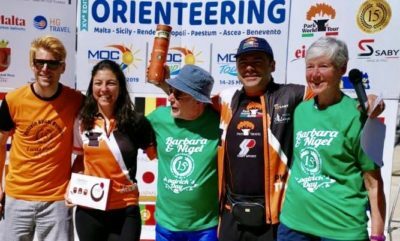 A warm sunny 17 degrees greeted competitors as they started to arrive at the Finish Arena, conveniently located next to an open-air bar! The area overlooked the start and afforded good views of the City and yachts on the water below. Plenty of space and shade for the 300 or so competitors. For the longer courses, there were back to back maps, with competitors visiting the south-west section of the map. Shorter courses stayed on the main east side. The irregular street pattern with many steps and contours made route choice interesting. Some legs could be run on the flat if you were prepared to run the extra distance. Or was it quicker to take the steps up and down by going straighter? These were some of the many problems facing racers today. 12 different nations were represented at the top of the podium. Sweden had the most winners with 6, then Great Britain with 4 wins. 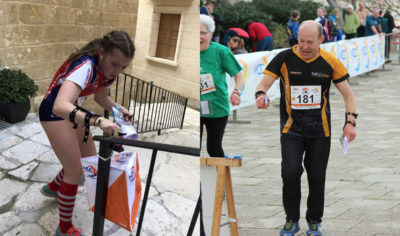 The Farenfield family single-handedly scooped up the 3 Latvian wins. 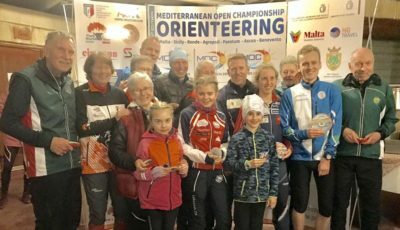 The pair of Belgium medals went to the ASOM organisers and couple of Linda and Dirk. 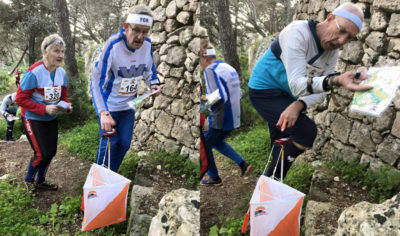 The Veteran men from GBR were strong and it was close to being a clean sweep of M40-M70 with Dmitry Ushakov being pipped into second place by a mere 3 seconds by yesterday’s massive winner Simo on M40 and Ian Maxwell on M50 was only 81 seconds down in 3rd. On Women’s Elite, Ann Dvoryanskaya RUS started well and led the first 4 controls. However, Natalia Gemperle RUS was never far behind and to the 5th control she was 6 seconds faster and took the lead. From here to the finish she gradually extended this to win by 41 seconds. Lizzie Ingham NZL took the bronze almost a minute behind Anna, showing us all that the Russian girls really were the stars of this testing Maltese terrain. It was to be Riccardo Scalet ITA’s race as he owned it from start to finish. 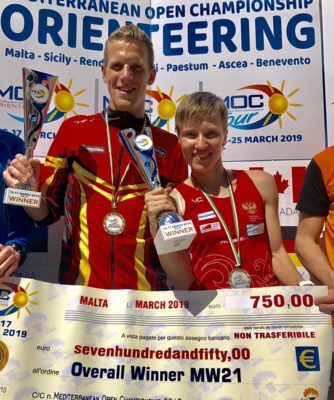 He was the fastest to the first control by one second and despite Yannick Michiels drawing level with him at the 4th control, he never looked back from there to the finish. By the time he reached the last control he was 23 seconds clear of Chris Smithard GBR in second. It would be a tie for third as the Belgium Bullet, Yannick Michiels – Fanpage and Peter Hodkinson GBR were 10 seconds behind Chris. 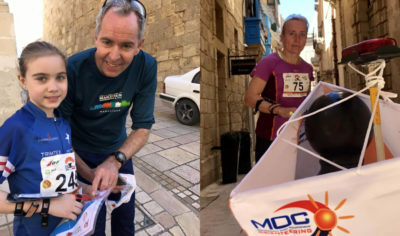 Races report by Nick Barrable. 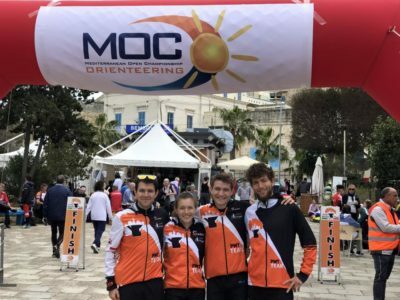 A special thanks from the PWT Italy team to all the orienteers, volunteers, authorities, sponsor those who made this event unique. Follow the Sun!